The Look: The packaging of the Davidoff Winston Churchill Limited Edition 2019 is simply stunning. The wood box is leather-inspired with stamps of the three countries the tobacco is from. Inside the box, the bottom of the tray that the 10 cigars lay on is removable with humidification underneath. The Boveda pack needs to be activated by the user by removing it from the cello it comes packaged in insuring that it won’t dry out before you are ready to use it. The Dominican Republic wrapper kind of has a weathered feel to it with some coarseness under the fingers. There are a few veins present and a significant amount of oils. In the hand the cigar feels a tad light, but there are no voids of tobacco and a well packed foot. 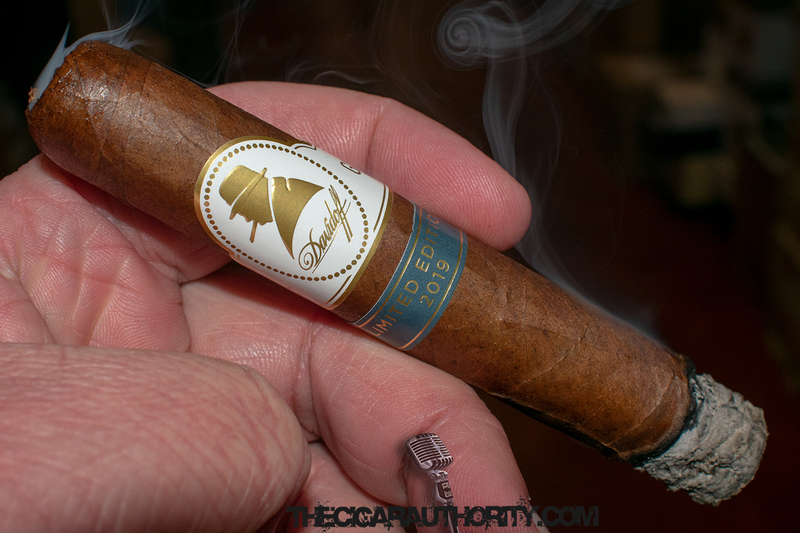 The Notes: The cold draw has a subtle sweetness and earthy components with the latter giving it that classic Davidoff feel. The aroma off the foot of the cigar has a touch of caramel and cocoa though it took a few attempts to pull anything other than a tobacco taste. Once we toast and light the foot of the cigar the first draw showcases a delicious caramel note that makes this cigar instantly stand apart from other cigars in the Winston Churchill portfolio. As we move into the first third the salted caramel notes pull back some around a half-inch in as it is joined by notes of cedar and a touch of wheat which is something I’ve always considered synonymous with San Vicente tobacco. The retrohale of the cigar serves up continued notes of caramel with some subtle spices and a touch of coffee on the moderate finish. The second third sees the coffee notes develop and continue to grow in intensity along with notes of nuts and a touch of leather that is especially noticeable on the now long finish of the cigar. The retrohale continues to see spices with cedar developing and the addition of some creaminess that carries over to the palate. As we enter the last third the cigar becomes predominantly earthy with nuances of cedar and spice. 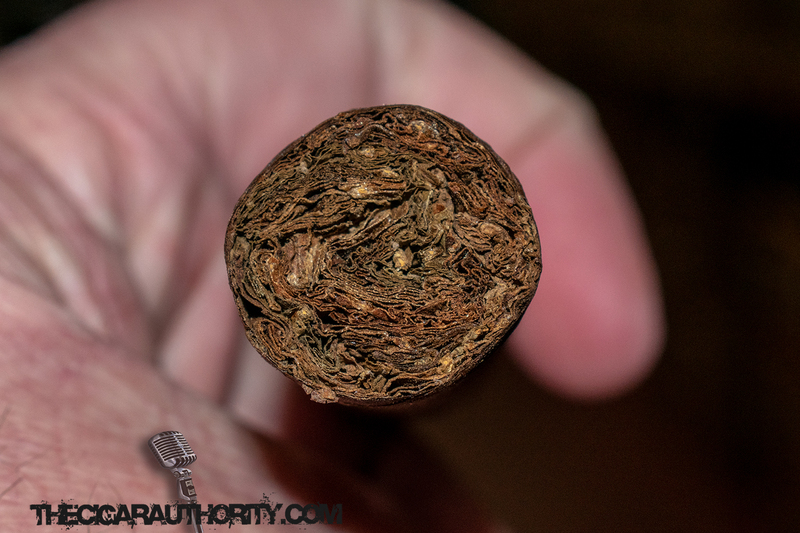 The spice is enhanced on the retrohale of the cigar where there is also some lingering coffee notes that carry over the long finish of the stick. 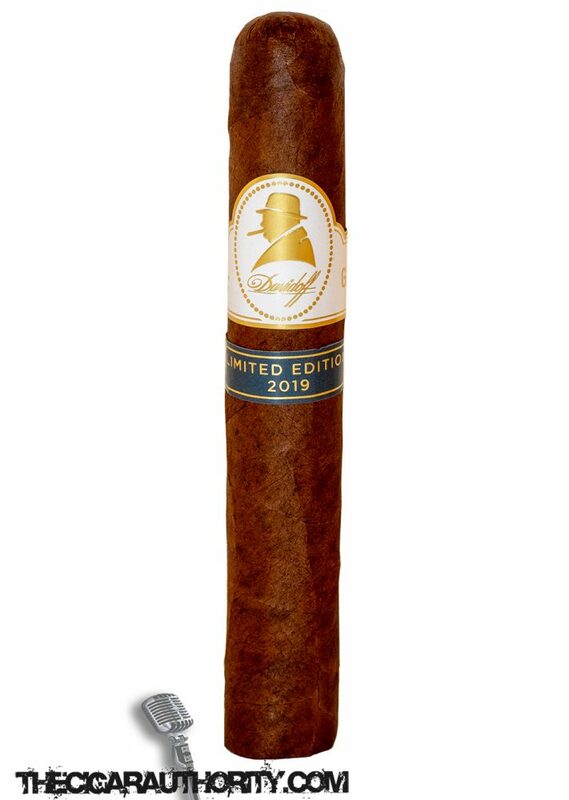 The Finish: I always scratch my head at the pricing of Davidoff Limited Edition cigars and question if I am going to buy at least one. Then I smoke one and I buy a box. While I don’t understand the price tag, I do understand the quality and flavor profile of this cigar. It might just be better than the 2016 edition, which I scored a 93. While this one scores the same, it might be a fraction better and definitely a nice start to 2019 releases.